Michelle Madow: Giveaway: Fire Falling by Elise Kova! Giveaway: Fire Falling by Elise Kova! 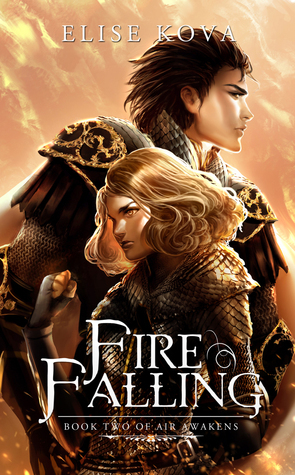 To celebrate the release day of Fire Falling by Elise Kova, I'm giving away one paperback of this amazing book! If you haven't heard of Fire Falling, learn all about it below -- and then enter to win on the Rafflecopter! Fire Falling is the second book in the Air Awakens Series. Get ready for twists that you won't see coming! Higher stakes, powerful magic, and forbidden romance make Fire Falling impossible to put down. A must-read for fans of Throne of Glass and Graceling! This giveaway is international, as long as Book Depository ships to your country. I'm really loving this series~ Thank you for the chance!